The old English Bed Company Natural Luxury 1800 offers a lovelly finished mattress that benefits not only from 1800 pocket springs in a 150cm mattress but with added natural filling including of pure New wool , Silk and cotton with woolen tufts and re inforced with 3 rows of hand side stitching . 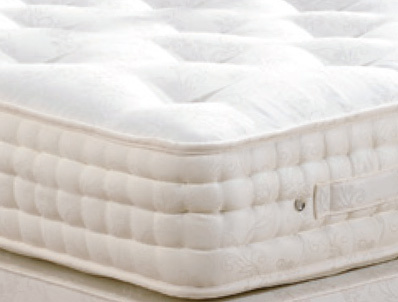 This Mattress offers a choice of Medium tension made with a 1.4m gauge wire spring or a firm feel made with a 1.6mm gauge spring , the Quality of the this mattress is easily the equvilant of the Hypnos aspen natural supreme or Relyon woolsack 1700 mattress and is offered as a non turn mattress with full 5 year guarantee. The Old English Bed Company manufacturer bespoke beds/mattresses and are able to offer non-standard sizes to suit your specific requirements. They are able to offer increments in width and/or length of 7.5cm (3"). 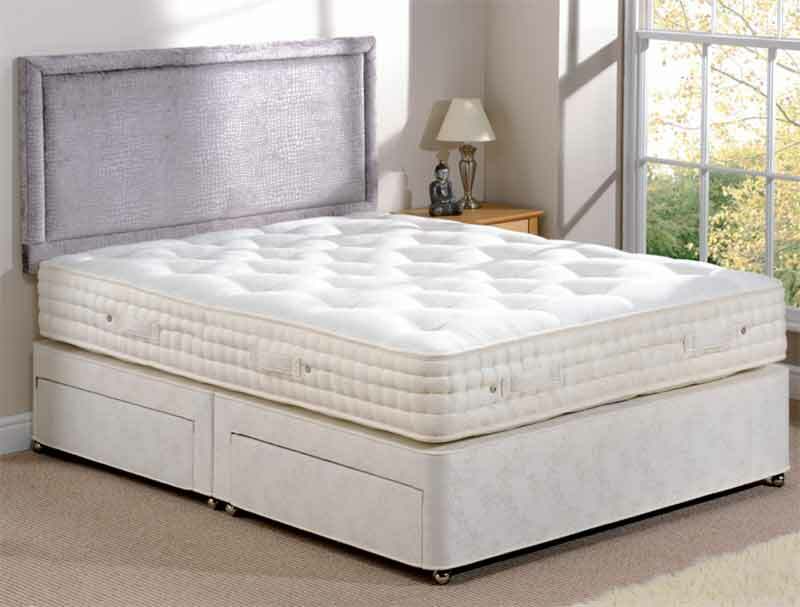 If you wish for a quote on a special size mattress then please call us on 01379855456.